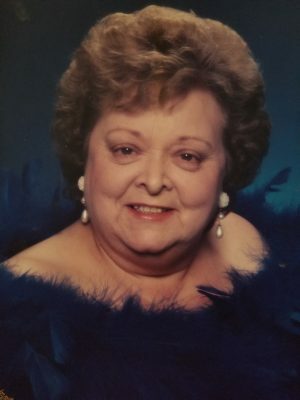 PHOENIX, NY – Geraldine S. Smith, 81, of Phoenix, NY, passed away at St. Joseph’s Hospital Health Center, Syracuse, NY, on Wednesday April 3, 2019. She was born to her late parents, Helen (Fausman) and George T. Farrarr, in Syracuse on Jan 9, 1938. She was a graduate of Central Square High School. Geraldine was a wonderful homemaker. And, she was the manager at the Bavarian Pretzel Co., in Great Northern Mall, Clay, NY. Geraldine loved being with her family. She enjoyed raising her granddaughters. She also enjoyed working on the computer and spending time on Facebook. Surviving are her loving husband of 53 years, August M. Smith; her seven children, Edward, Steven, Ronald George, Cynthia, Anna and Ellen; her 15 grandchildren; her 15 great-grandchildren; several nieces, nephews and cousins; and friends. Funeral service only on Saturday April 6 at 1 p.m. in the Allanson-Glanville-Tappan Funeral Home, 431 Main St., Phoenix.